The cable industry has long strived for diversity, inclusion and multiculturalism in the workplace. But executives agree that over the last year and a half — as the nation followed a historic presidential primary race between an African-American and a woman — operators and networks have ramped up their recruitment and career-building efforts. Scripps Networks is one company that has recently “turned up the intensity,” according to senior vice president of corporate communications Cindy McConkey. 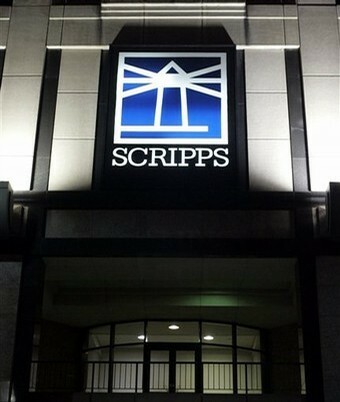 Eighteen months ago, Scripps hired Chris Powell, an African-American from outside the cable industry as executive vice president of human resources. “He brings a new point of view to the executive committee,” she said. “People see this effort at first and think it’s just the politically correct thing to do but there is a strong and obvious business case to be made,” McConkey added, citing a shift in economic power. Other companies are stepping up their diversity strategies, as well. “Diversity has long been a priority but it more recently came to the forefront,” said Charter Communications senior vice president of human resources Lynne Ramsey, who pointed out that the company hired director of human resources Cam McCluskey specifically to oversee diversity and inclusion. That sentiment was echoed by several industry executives, as they discussed the opportunities and challenges faced by their companies — as well as by the organizations with which they partner, such as the National Association for Multi-Ethnicity in Communications and Women in Cable & Telecommunications. BET, for example, is trying to be inclusive by reaching out to veterans organizations, according to vice president of human resources Jocelyn Cooley. As people continue to work later in life, the network is looking for ways to accommodate generational differences. Most are loath to use words such as affirmative action or quotas that can pin them down in hiring results and alienate employees. Still, McConkey said some specific goals can be helpful—Scripps, for instance, is looking to work with at least one new minority-owned production company this year. According to Monica Johnson, manager of corporate recruiting at Cox Communications, achieving diversity and inclusion is particularly crucial as Baby Boomers age and more workers retire. “There will be a shortage of people — the talent crisis is just around the corner,” Johnson said, adding that employers must also provide room for growth if they want to retain employees more interested in moving up the ranks than in long-term stability with one company. Still, the biggest challenges and greatest opportunities for enduring change within the industry are in the areas of staff hiring and executive-level promotion. Progress has been made, says Kathy Johnson, president of NAMIC, at least in terms of hiring. But while the industry is roughly on par with employment patterns in lower and middle-level positions, diversity isn’t as evident near the top. But much remains to be done: Johnson said Hispanics are still under-represented and that the representation is much slower in coming at the senior management level, especially at senior vice president and above. “That is our concern,” she said. In 2001, NAMIC started an executive leadership program at UCLA to develop business acumen but also improve social networking skills and to help overcome cultural barriers. Nearly a third of those who have come through have received promotions and greater levels of responsibility, Johnson said. Johnson acknowledged that one major issue is that there simply aren’t that many top-level positions around and that they tend to have less turnover than lower-level jobs. And, according to Cox director of people services Sheila Stallings, this is an issue facing every industry, not just cable. Women, by and large, have fared even better than minorities, making gains in traditionally male-dominated positions like chief financial officer — though IT, engineering and other technical jobs still skew heavily male. Marva Smalls, MTV Networks executive vice president of global inclusion strategy, agrees. “Your on-air talent is a chance to showcase how you really feel about diversity,” she said. Additionally, networks and operators say a strong commitment from the top down is crucial. “It sets a tone of inclusiveness in our culture,” Cooley said. “Leadership is imperative,” said Smalls, explaining that MTVN CEO Judy McGrath not only says she wants all hiring nets cast wide, but also has the networks’ “best collective brain trust” meeting regularly and chairing committees about diversity. Diversity training is also key to establishing a workplace where differences are respected and valued. At Discovery Networks, Alpert-Romm said 2,000 staffers have already completed the company’s diversity awareness training program and the rest will attend by 2009. Time Warner Cable’s Diversity Council, which was established in 2004, oversaw three different pilot programs before finding the right one for its large-scale diversity training program. But the corporate council has also created regional councils to bring the issue closer to home for all staffers. The question of local differences becomes increasingly significant for companies like MTV or Discovery that have a major presence in other countries. “It is very different in Singapore than in London,” said Discovery’s Alpert-Romm. Executives agree that the goal isn’t to satisfy hiring quotas, but to at least have the outreach and resources to create diverse interview slates. “For every person we hire we want at least one diverse candidate in the interviewing pool,” said Charter’s Ramsay. But to make that happen, Ramsay says they must constantly make search firms aware of Charter’s commitment to the cause. “You have to constantly be out there building a list and establishing a database of top diverse talent,” added Alpert-Romm. According to Debbie Stang, vice president of human resources for Midcontinent Media, every detail counts in the recruitment process — from checking job descriptions to making sure the wording doesn’t inadvertently screen qualified people out, to publicizing the company’s commitment to diversity to relying on the same old sources for hiring. Beyond partnerships with NAMIC, WICT and the Emma Bowen Foundation, that might mean internship programs with black colleges (which Scripps and Midcontinent Media cite) or partnerships with the National Hispanic MBAs and the Society of Women Engineers (both Cox partners). Once people are hired, the company’s goal shifts to developing its executives’ skills and making sure they want to stay. “One of the major challenges is retention,” Ramsay said, explaining that in a competitive landscape, a woman or minority candidate with leadership skills and experience is extremely marketable. She added that many prospective hires are not looking just for more money but for career opportunities and increased responsibilities. Moore said Time Warner — which, like Charter, has set up mentoring partnerships with NAMIC and WICT — also started a formalized mentoring program within the company, giving employees the sense that they were connecting with upper-level executives. MTV has started a mentoring program specifically for its senior-level African-American executives. That program was started in response to requests from employees, and executives like Smalls cite the value of fostering grassroots employee efforts. MTV has employee affinity groups for African-Americans, Asian-Americans, Latinos, lesbians and gays, and working parents. Discovery has set up similar groups, including one for women and one for veterans — some baby boomers, who feel like outsiders at the young-skewing company are considering starting their own group, according to Alpert-Romm. “They’re for employees that want to pull together,” she said. Looking ahead, NAMIC’s Johnson hopes to see gains in one department where people of color remain largely underrepresented in the cable industry: ad sales. Because many staffers in those departments originally come from ad agencies, Johnson said the problem needs correcting not just in the cable world but on the ad agency side. Johnson thinks are cablers aware of this issue and that even ad agencies and their clients are becoming increasingly attuned to the necessities of diversity and inclusion, which bodes well for the future. This entry was posted on September 16, 2008 at 3:25 am and filed under Race. You can follow any responses to this entry through the RSS feed.